Josh Brolin Does Tommy Lee Jones! 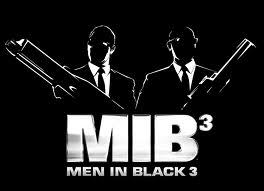 Why in the world would you go to see Men In Black 3? It makes no sense. You hated Men In Black 2, and the film the franchise sprung from, Men In Black, is now so old your kids think you’re a loser for even knowing about its existence. 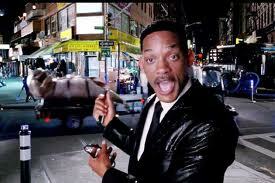 So why, why in the world, would you go to see Men In Black 3? There are three answers to this question. The first is simple: you wouldn’t. Fair enough, go have a beer and then see The Woman in Black. Problem solved. The second is more complicated: you’d see it because you saw the first two and feel the need for closure. Bizarelly, this is the correct answer. The third is, because it’s there. It works okay on that level too. 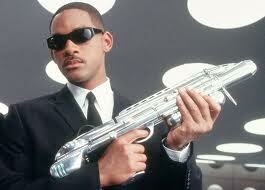 Men In Black 3 is way quirkier than your run-of-the-mill quarter of a million dollar movie. Director Barry Sonnenfeld was the cinematographer on Misery, Miller’s Crossing, Raising Arizona and Blood Simple – amongst many other major cinematic achievements – and there is no doubt he has a signature, comedic camera style that works for his material. Favouring a fish-eyed lens, close-up style, he punches Will Smith’s expressive face into our laps – and I chose to see the 2D version (the film is also offered in 3D and, I suspect, it might do well in that format). The plot – which supposedly involved horrendous script problems during pre-production and production – lets Tommy Lee Jones work as few days as possible, by contriving a storyline that sends Will Smith back to 1969 to confront Jones’ character “K” as a younger man – played not by Jones but by Josh Brolin, playing Tommy Lee Jones as a 29 year old. This is all sorts of fun, and it is all sorts of fun. In fact, along with Rick Baker’s once-again wonderful, idiosyncratic, extremely funny alien creations (one of the conceits of the franchise being that there are all manner of aliens living amongst us, doing everyday jobs and employing everyday habits), it’s Josh Brolin doing a forty-year-old’s-29-year-old-Tommy Lee Jones that makes the film as nutso, and fun, as it is. (The movie actually playfully acknowledges the fact that Brolin is so obviously not 29 years old with a cheerful “Damn, you’ve got some city miles on you!” from Smith). Will you laugh out loud, a lot? Probably not. But will you chortle inside? I reckon. The main thing is, will you feel warm towards these characters, who should have long passed their used-by dates? The surprise answer? Absolutely. Heath, come back! We need you.